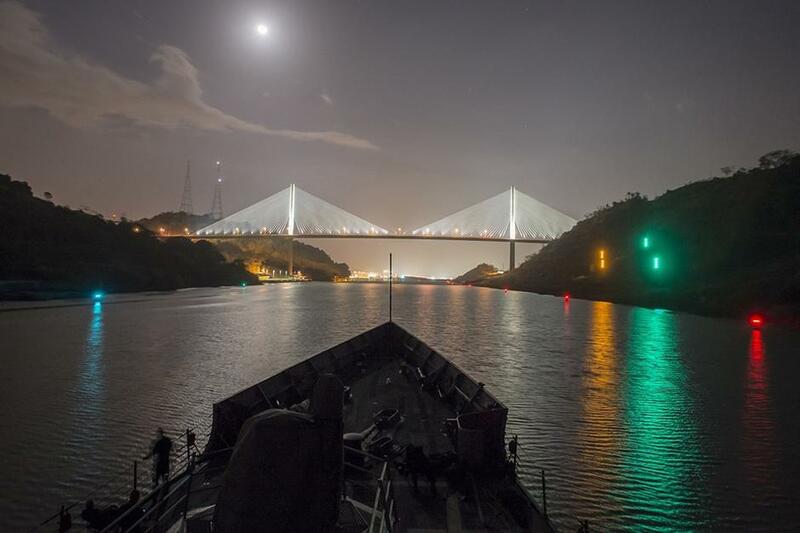 The expanded Panama Canal Reopened on Sunday 26 June amid much fanfare, with a cheering 30,000-strong crowd waving Panamanian flags, and a band striking up a catchy tune just as the Chinese-owned Cosco Shipping Panama negotiated its way through the first new locks at Agua Clara. It’s a colossal one alright, the Cosco. One of the largest ships ever built, it boasts an astonishing width of 48.1m, and length of 300m. This is one of a growing number of so-called ‘neo-Panamax’ vessels, built wider now that the canal has finally expanded, albeit amid woes and costly delays. The amazing thing is that the Cosco managed to completely dwarf the much wider Canal. How Landon Rankin (the man given the honour to pilot the Cosco) managed his task with so little room for error is certainly worthy of a hat-tilt. So, after a long and arduous 10-year wait and a budget that seems to have exploded…the Panama Canal Reopened, meet the wider, bigger and better Panama Canal! Reopening of the Panama Canal. Photo credit: Carlos Jasso/Reuters. Now that the Panama Canal Reopened, it can accommodate vessels that boast almost three times the capacity previously possible, and it has the potential to double the yearly maritime traffic. Not only because of increased volume size but also because ships can now navigate through much faster, drastically decreasing waiting times. The new Panamax size – the maximum size a ship can be if it wants to cross the Panama Canal – has now increased considerably. Aside a year-long delay and between 1 and USD 3 billion budget blowout, there are some uncertainties surrounding the much wider canal, the most significant concerning water supply. Panama sees a fair amount of rain during the year yet El Nino has caused some havoc already, with the 2015 rain season starting so late that authorities had to impose weight restrictions a total of three times. A new water supply system has been constructed, which practically reuses 60% of the water through each lock as ships navigate their way through, yet Lake Gatun will now have to supply twice as much water for the Canal as it has done previously. And, mind you, Lake Gatun is Panama’s main source of drinking water, so worries that it won’t cope with the demand are not trivial. 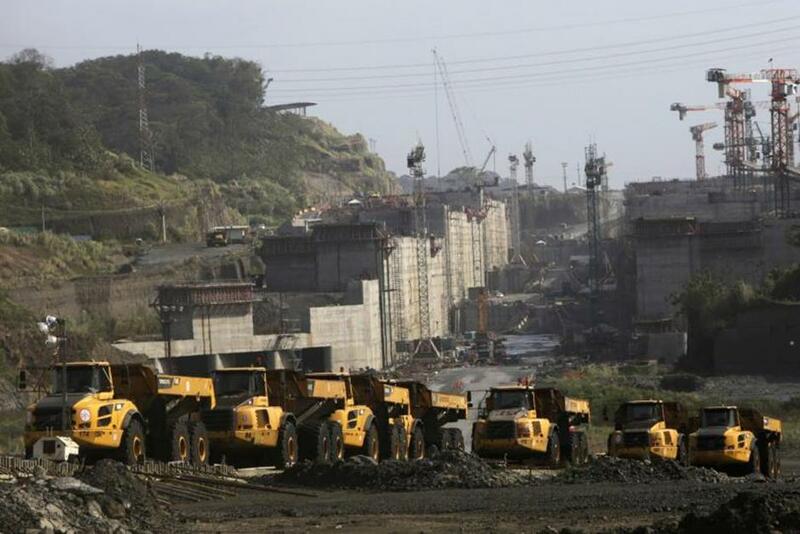 Construction work on the Panama Canal. Photo credit: Carlos Jasso/Reuters. Crucially important to the local economy, the Canal makes up for almost half of Panama’s GDP, when you include all the relative economic income that it generates at ports. It rakes in about USD 10 billion a year for the country and, internationally, it handles about 6% of all maritime trade. The hope that the wider Canal can convert its potential to real income is the primary goal for Panama, naturally. View over the Panama Canal. Photo credit: Carlos Jasso/Reuters. Now that the Panama Canal Reopened, will it be worth the cost? Well, that depends on who you ask. The foreign investors who poured billions into the project certainly think so, but according to expert economist Paul Bingham of EDR Group, the impact on international shipping trade may actually be rather modest. When considering the geographic global demand for shipped goods, it appears that a wider Panama Canal may well be useful if only it were, hypothetically speaking, in Asia. Even though formerly oversized container ships could now pass through the Canal, it doesn’t mean they will necessarily want to. Moreover, a downturn in the Chinese economy, drop in fuel costs and various other factors, have culminated in a substantial decrease in global shipping traffic. The Panama Canal itself lost just over 10% of its trade in 2015, with Chinese trade to the east coast of the USA being by far its biggest earner and currently, biggest loser too. Yet some experts are much more optimistic, with even the most conservative predictors admitting that, considering the Panama Canal had reached its maximum potential, there really was no other option. According to MAERSK Shipping vice-president Anders Boenaes, what Panama is potentially suffering right now is a simple case of ‘bad timing’. Shipping trade may not look so rosy today, but that certainly wasn’t the case 10 years ago when it planned the extension of its priceless canal. Back then, the Panama Canal was quite literally bursting at the seams and no-one could have predicted the maritime trade slump which was to follow. Likewise, no-one can really predict if it will continue to slide or pick itself back up again. As far as Boenaes is concerned, the Panama Canal had nowhere to go but wider. So onto bigger and better things for Panama and its phenomenal Canal? But don’t wait too long! Come and experience a wider, bigger and better Panama Canal when you join us on an unforgettable tour of Panama. Learn about The Wildlife of the Panama Canal and come discover the amazing array of wonders this Central American country has to offer.